Well, we recently returned from our latest adventure to Canada. We woke up at 3 a.m. (Yes, for those who know me, my Venti iced coffee was not-so-eagerly awaiting in the fridge.) 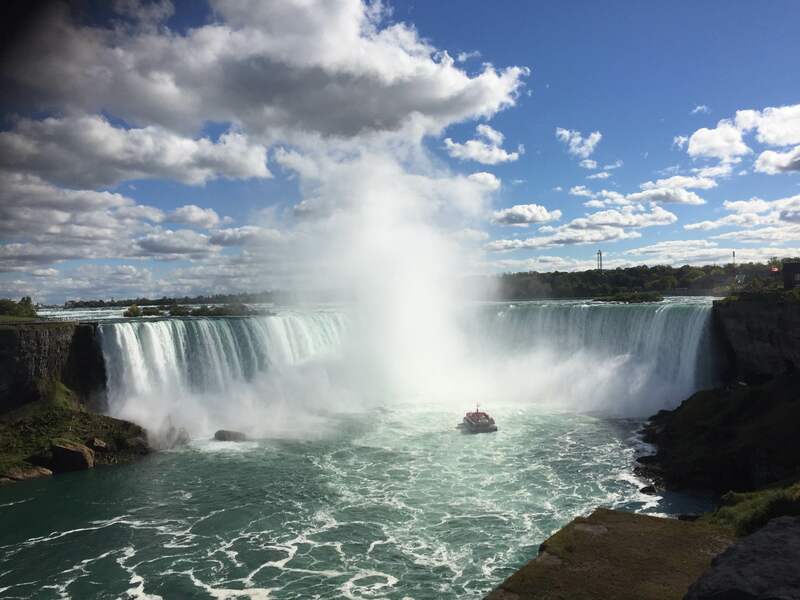 We spent the morning driving through Indiana, Ohio, Pennsylvania and New York until we finally reached Niagara Falls on the United States side. Frankly, I wasn’t sure what to expect from Niagara Falls (or this entire trip to be honest). I suppose we are accustomed to seeing the picturesque falls straight on (namely Horseshoe Falls), which just so happens to be the Canadian side. Instead, we saw only a fraction of the falls from a side angle (American Falls). They were still incredibly massive and you could undoubtedly feel the power. 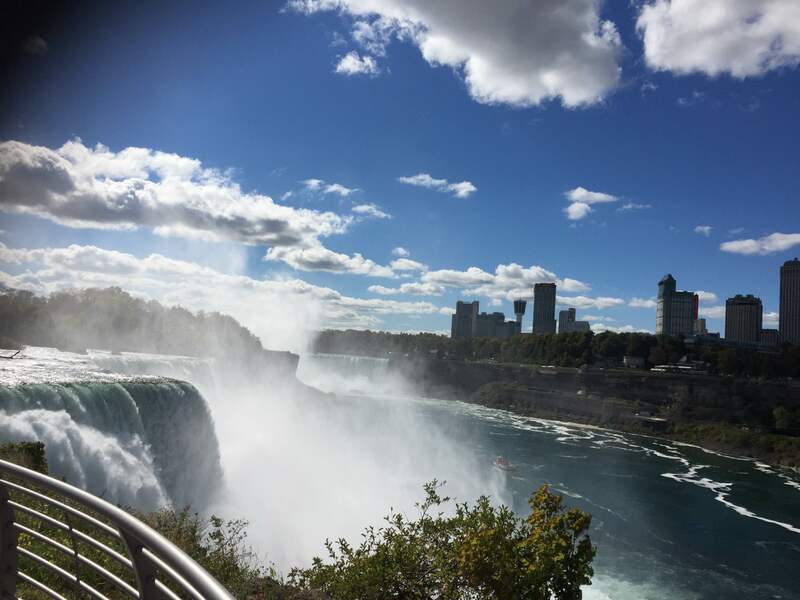 Once we crossed the Canadian border, however, we were greeted by Niagara Falls, Ontario, which is adorned with restaurants, a promenade full of tourist attractions, and easily the best view of Niagara Falls. The combined three falls mark the highest flow rate of any waterfall in the world. I could have easily spent a night eating near the water and seeing the falls at night. 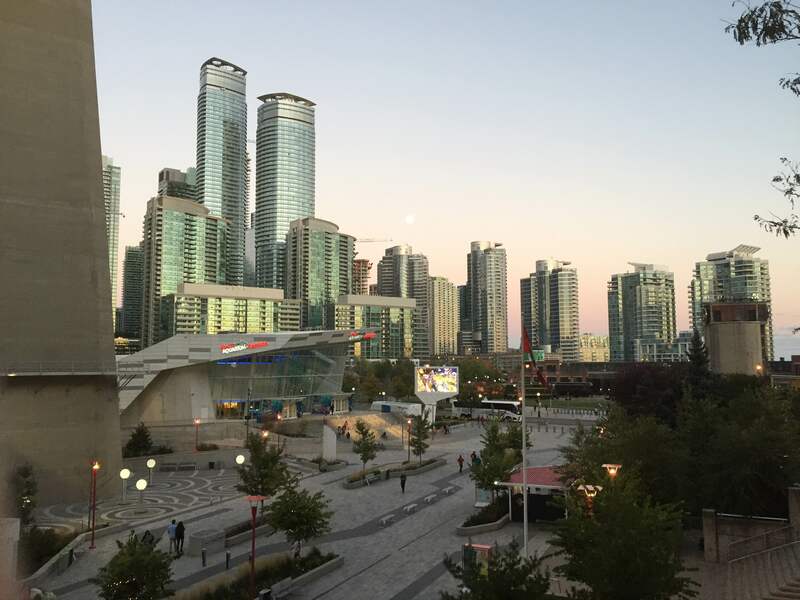 Instead, we went on our way and started the two hour trip to Toronto. By the time we checked in, we were tired and ready to get some rest after traveling for over ten hours. We opted for a short walk to the CN Tower before having dinner at Milestones.